Ashok Sekhar Ganguly is the former chairman of Hindustan Lever. He is an industry expert and a nominated member of the Rajya Sabha. Ashok Sekhar Ganguly was born in Patna, India on 28 July, 1935. He went to Master Tutorial High School in Mumbai and did his BSc from the Jaihind College in Mumbai. After completing his M.S in 1959, he pursued a Ph.D from the University of Illinois. . He spent more than 35 years with Unilever PLC. 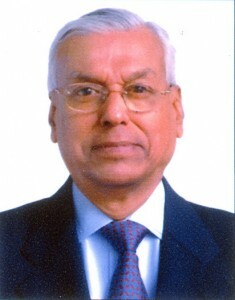 From 1980 to 1990, he was the chairman of the company and from 1990 to 1997, he served as a member of the board. In fact, he has served as a board member in various other multinationals including ICI India, Wipro, British Airways, Hindustan Lever, Tata AIG Life Insurance Co. Firstsource Solutions and Hemogenomics. He was also awarded the Padma Vibhushan which is the second highest civilian award in the country for his contribution to public service. He married Rooma Ganguly after he became successful. In November, 2009, he took oath as a Nominated member of the Rajya Sabha. Being a member of the Prime Minister’s Council on Trade and Industry, he will serve a 6 year term. After he took the oath, he shook hands with the leaders of the different political parties as well as the Chairman, Hamid Ansari. Since November 2002, he has been a director of the Central Board of Reserve Bank in India. Other organizations and committees that he is member of include India-USE CEO Committee and the Investment Commission. Ashok Sekhar Ganguly had always been a true Hindustan Unilever man. This was proven in his speech when he accepted ET’s Lifetime Achievement Award. While winners usually thank their staff in general, Dr. Ganguly was very specific. He said that his achievement was due to the efforts of everyone associated with HLL. He also didn’t forget to mention the hard work of the salesmen who toil night and day in the marketplace. It has been ten years, Dr. Ganguly has been head of the FMCG Company and he believes that the success of the company lies in its outstanding sales and distribution efforts.